How can a true KLite like me not know about Suzi's Corner? I may have passed the area many, many times especially as I head towards Taman Tar, but didn't know about the existence of Suzi's Corner. Many friends have recommended this eatery but it was only recently that I decided to check out this place. "Take the first left turn as you enter make the exit from Jalan Ampang," that would tell me. Thought it was going to be hard to find but it's just at the CORNER (literally!). I swear to God this is the first time I noticed this place. Anyway, parking can be quite hard as it was full. Had to park along the road and an excuse to exercise and walk to to Suzi's Corner. Let's not let the humble-looking place fool ya because even expatriates eat at this place. When I was there, it was a crowd of locals, some Caucasians and Japanese expats enjoying their beer. So, let's talk about the food. 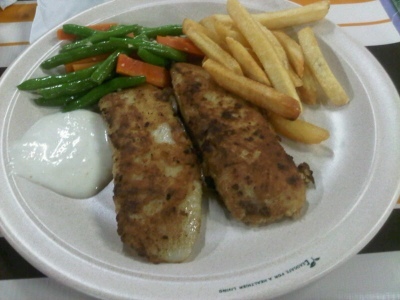 This is the Grilled fish @ RM14 per plate. They have the usual chicken/beef steaks but since I was under the weather, fish was the meal of choice. Let me admit that I don't eat fish on a regular basis, but I enjoyed this grilled fish. 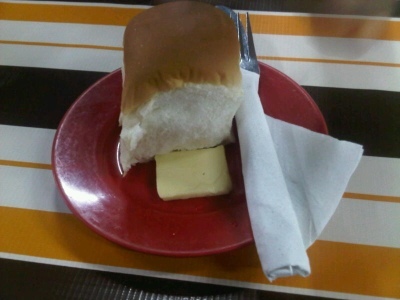 While waiting for my food to arrive, hot bun with butter were given to me. Don't fancy Western food? 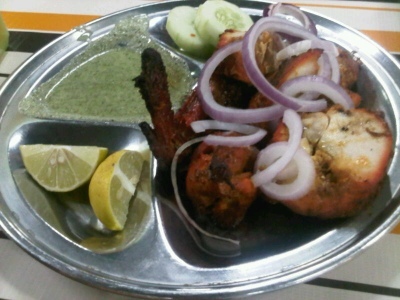 My brother ordered this chicken tandoori to go along with Tosai (below). 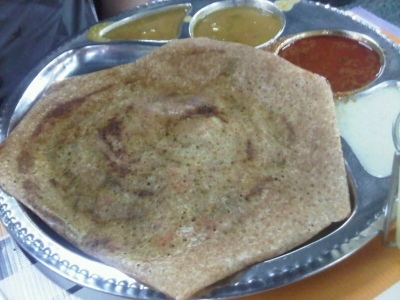 Just wanted to let you know that the Tosai, Tandoori Chicken and three drinks cost us RM25. Pricey? Overall, I enjoyed the area. I would certainly like to comeback for their Chicken chop or beef steak. There's also Nasi Lemak, porridge, Lebanese food and satay! Definitely a must-try on my next trip. Finally, a new place to chill at Ampang.